• A myth-busting view of ghostwriting from Adam Jacobs of Dianthus. • An account of the potential from emerging markets from Jim Furness of Bridgehead International Limited. • Andrew Spong posing – rather convincingly – as our latest Social pharma face on what pharma can learn from the #hcsmeu conversation. • An emotive interview with Seth Godin on Amit Gupta’s search for a bone marrow donor. • A rigorous review of the highs and lows of Novo Nordisk’s Cornerstones4care – in our latest Pharma gets social by Daniel Ghinn. • Our latest Patient perspective featuring founder of TuDiabetes Manny Hernandez. • An overview of the online behaviour and demands of HCPs in Europe in our interview with Chris Cooper of EPG Health Media. • The latest Expert review article discussing co-morbidities in an ageing population a confounding factor that should no longer be ignored. • Thoughts on the NHS and pharma from Rob Walton and Ashish Rishi. • Lessons on patent filing, clinical trial fraud and raising life sciences venture capital. • A view to look outside of pharma to see what we can learn from the likes of Cadbury’s, Starbucks and The Daily Mail in the latest of Tunnah’s musings. • A report from the American College of Rheumatology Scientific Meeting by RA patient Kelly Young. • A discussion on why we should be publishing all clinical trial data by Ryan Woodrow. Further to those mentioned above there were many more great pieces published throughout November. The best way to keep updated on our content and not miss any is to register and sign up to our weekly newsletter. pharmaphorum will be kept busy and bright throughout December and then quietening down over Christmas and the New Year for a short break. During our quiet times why not take a browse through our growing back catalogue of content to find something that appeals or maybe get writing a piece yourself. But we’re not quietening down just yet, so let’s take a look at what to expect in December. If social media is what you’re looking for you’ll be pleased to know that we’ll be featuring Shwen Gwee as our latest social pharma face and Daniel Ghinn will be continuing his series reviewing social media projects from within pharma in Pharma gets social. From a mobile perspective you can expect to hear from Michael Spitz in his regular mHealth Monthly Mashup and a look at mobile CRM from Cegedim. We’ll also be looking at QR codes and digital inclusion in two upcoming articles. We’ll be hearing of an ‘Ethical hypocrisy within pharma’ from Nick Broughton of pharmaceuticals ethics. Whilst Darshan Kulkarni continues his legal viewpoint with a look, this time, into bribery. For those of you wishing to hear more Patient perspectives you can look forward to interviews from MS and RA sufferer Lisa Emrich and diabetes patient Amy Tenderich. We’ve also lined up some new interview series. A physician series of interviews will be appearing on pharmaphorum very soon followed shortly by a series of healthcare journalist interviews. You can also look forward to many more stand alone interviews over the next two months looking into the areas of sales force effectiveness, generics and biosimilars in addition to an interview with Ed Silverman of pharmalot. Other new series to look out for include our medical device marketing series and a new group of articles from our friends at Publicis medical education group. And in case you’ve forgotten, tomorrow is world AIDS days. We’ll be publishing content in this area and we’re also keen to hear of any campaigns you’ve been involved in to support this cause so do get in touch. • Expert commentary from Sally Church (renowned oncology analyst), Prof Richard Sullivan (leading medical oncologist) and Jan Geissler (vocal cancer epatient). • Transcripts of interviews with the authors from critical trial results (including BOLERO-2) and panel group discussions on metastatic breast cancer and immunotherapy. • A review of the digital and social media coverage of the Congress, including analysis of the circa 3,500 Tweets sent over the course of the meeting. In addition we have more in the way of discounted events for you. You can save 30% off the cost of registration for the 7th Annual Project &amp, Portfolio Management in the Pharmaceutical Industry and also the Polymorphism and Crystallisation 2012 event. This discount is for the first five to register with our discount code only so do be hasty if you want to make savings on these events. Finally, you can also save 15% off the Mitigation Strategies for Reactive Metabolites event and the World Cancer Metabolism Summit. This discount is for unlimited tickets so if you or someone you know is attending do flag our discount with them. It’s worth keeping an eye on our events page to see what discounts we have on offer if you’re thinking of attending any upcoming event. Rebecca Aris is Managing Editor of pharmaphorum, the dynamic online information and discussion portal for the pharmaceutical industry. For queries she can be reached through the site contact form or via Twitter @Rebecca_Aris. 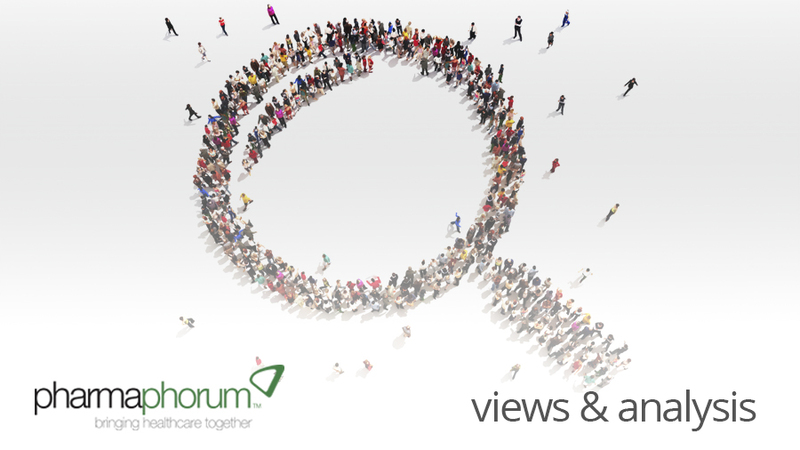 What was your favourite pharmaphorum article in November?